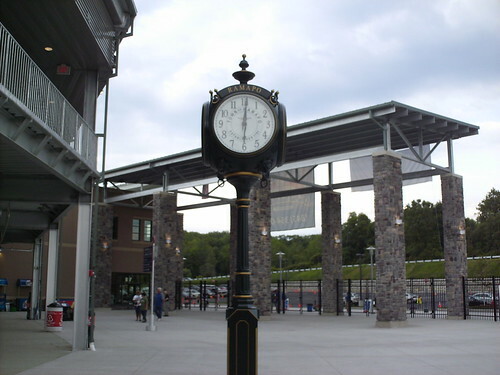 An old time town clock stands at the center of the entrance plaza. 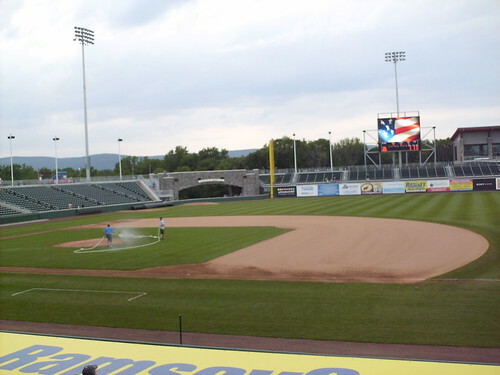 The view from behind home plate at Palisades Credit Union Park. 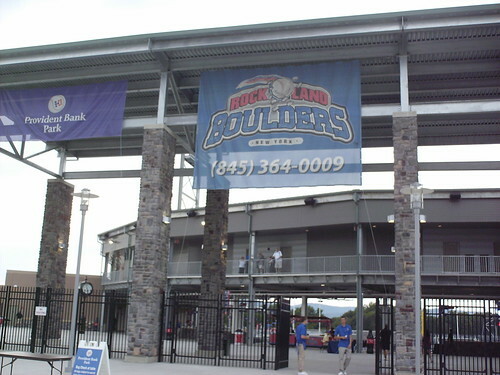 The grandstand and suites at Palisades Credit Union Park. 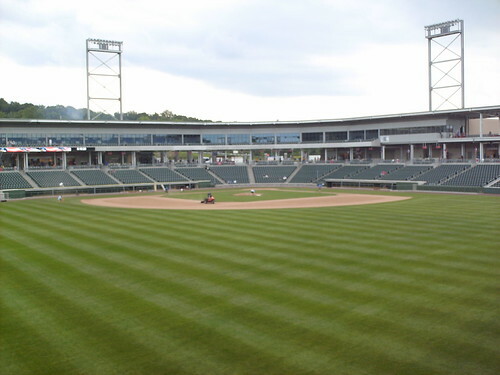 The pressbox is set off to the side, over the third base dugout. The view from down the first base line. 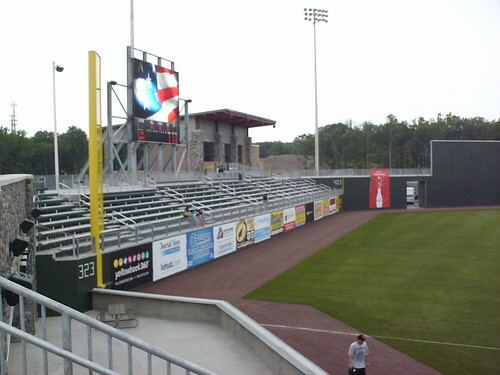 An HD video board in left center, and a pedestrian bridge in the corner. 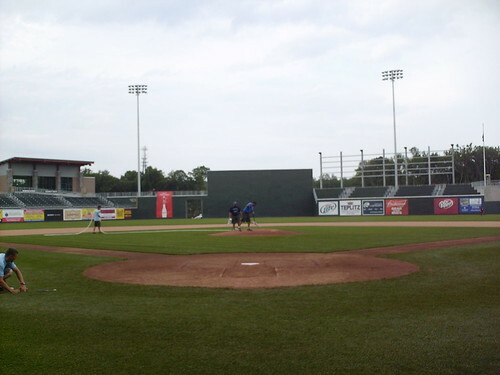 The view from down the third base line. 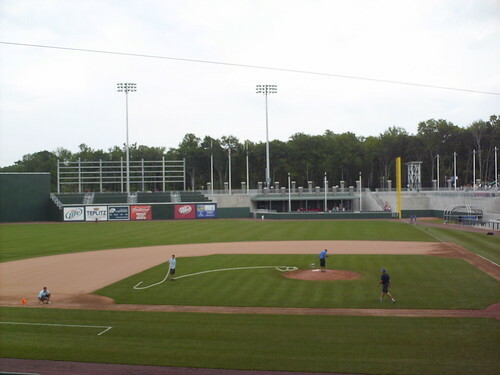 Pavilion seats in right center, and the "short porch" area in the right field corner. 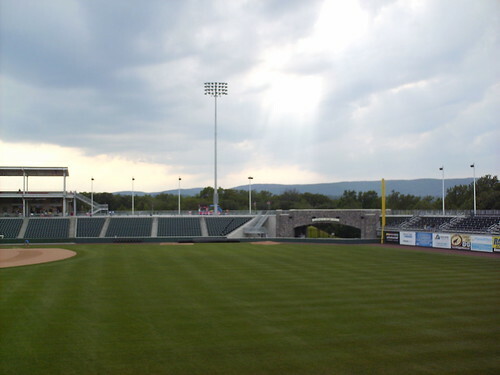 The Ramapo mountains as seen from the sunset deck in left field. 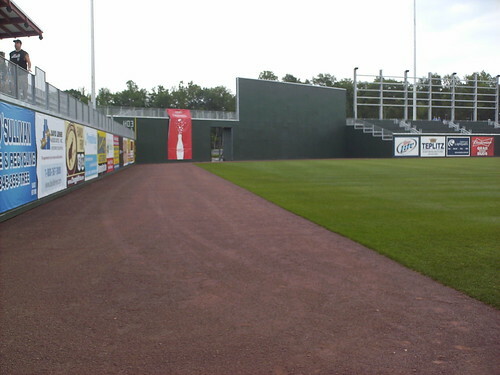 The left field corner, and the "Billboard Monster" in center field. 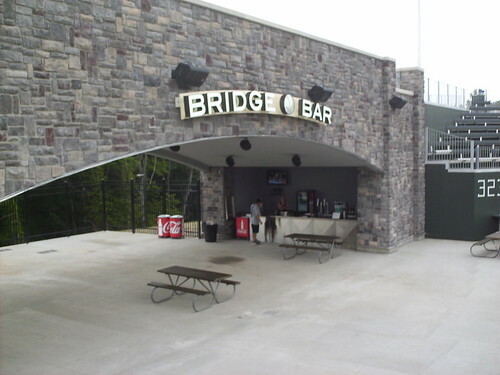 The Bridge Bar area underneath the bridge, allowing fans to get a close up view of the game from the outfield corner. The view from the Bridge Bar, and the visitor's bullpen. 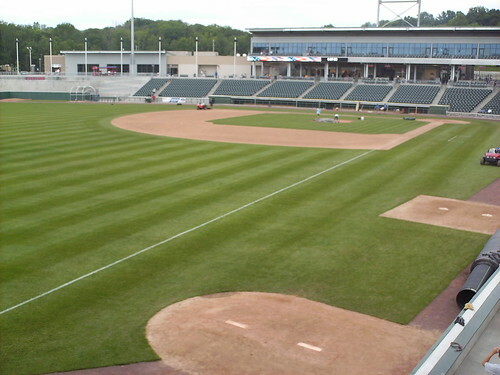 The many unique seating areas at Provident Bank Park lead to many corners and angles in the outfield wall. 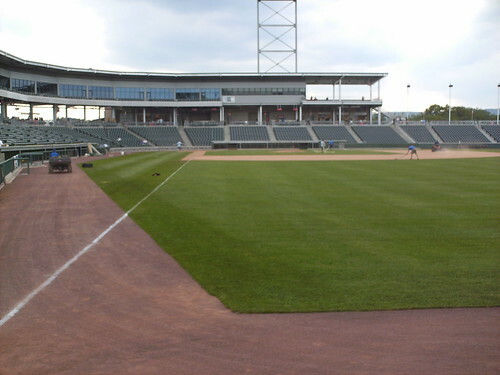 The outfield corners as seen from the left field bleachers. 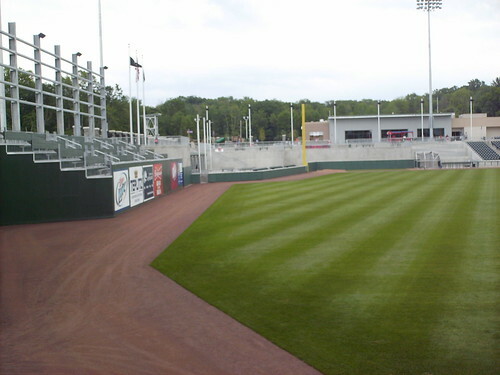 The Short Porch area in right field. 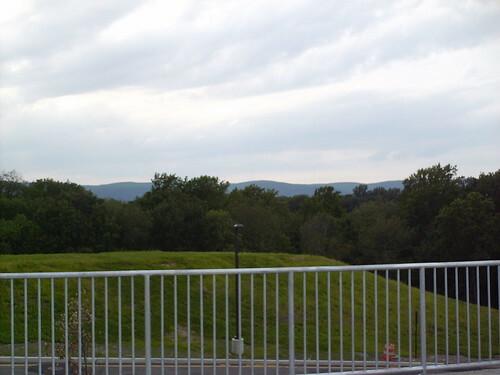 The fence comes in to 313 ft and drops to only a few feet high. 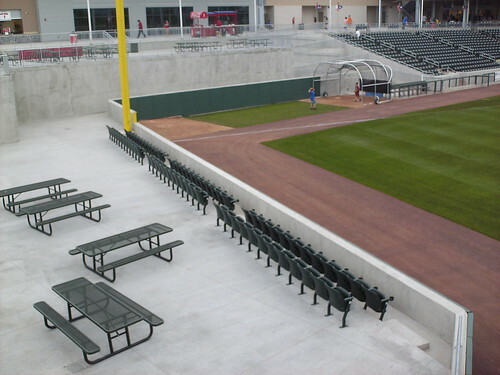 There's a picnic area for groups, and a row of seats as close to the field as possible. The view from the Short Porch. One of several Loge suites that ring the concourse. 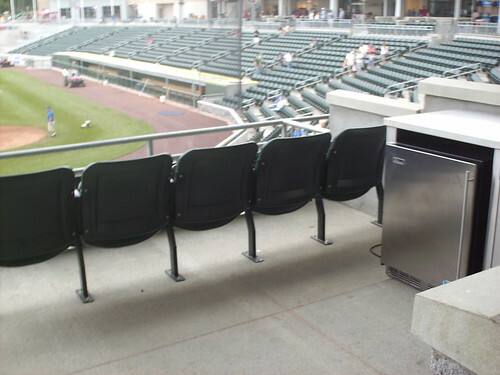 A walled-off section of seating with a mini-fridge and food delivered to your seat. The sun shines on the park before a game. 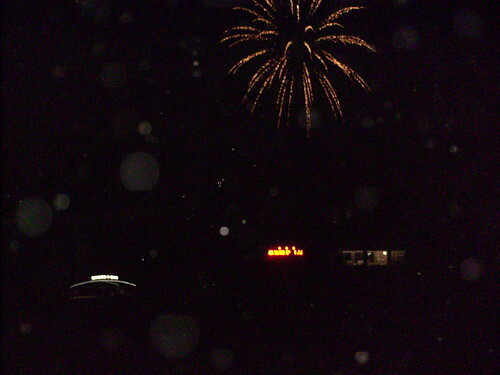 Fireworks over Palisades Credit Union Park.